Scott entered the financial service industry in 2003 as a college intern with Northwestern Mutual Financial. Following his internship, Scott spent the next five years with Northwestern Mutual building his practice with a focus on building his clientele through meeting clients solely through referrals from other professionals or satisfied clients. While at Northwestern Scott was recognized nationally winning various company awards as one of the company's top young advisors. With a solid foundation of experience and a growing client-base, in 2009 Scott moved on from Northwestern and established The Affinity Group. The vision in creating the company was to, in Scott's words, "Be our clients financial advocate-working only for their best interest while being independent from any affiliations or conflicts of interest." Scott graduated from Malone University in Canton Ohio in 2003 with a Bachelor's Degree in Communication Arts. 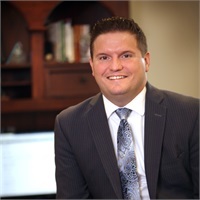 Scott is a licensed Investment Advisor Representative through the firms Registered Investment Advisor-Affinity Wealth LLC, while also holding his life/health/variable insurance licenses through the state of Ohio. Day-to-day at The Affinity Group, Scott is in charge of overall firm operations, as well as meeting with and advising the firms' current clients. Scott is known by his clients for having a tenacious passion for client service and giving them the best in every experience they have with the company. Scott and his wife Automn reside in Hartville with their daughter Cydni and son Cale. In his free time Scott enjoys reading, golf, skiing, traveling, and spending time with friends and family.